Glorious weather. Amazing riding roads. Welcoming people. The city of Prague formed the perfect stage for the 115th Anniversary celebrations of the world’s most storied motorcycle company when, over the weekend of July 4, more than 60,000 riders and 40,000 other visitors from 77 countries in Europe and across the world headed to the biggest Harley-Davidson® birthday celebrations yet seen in Europe. 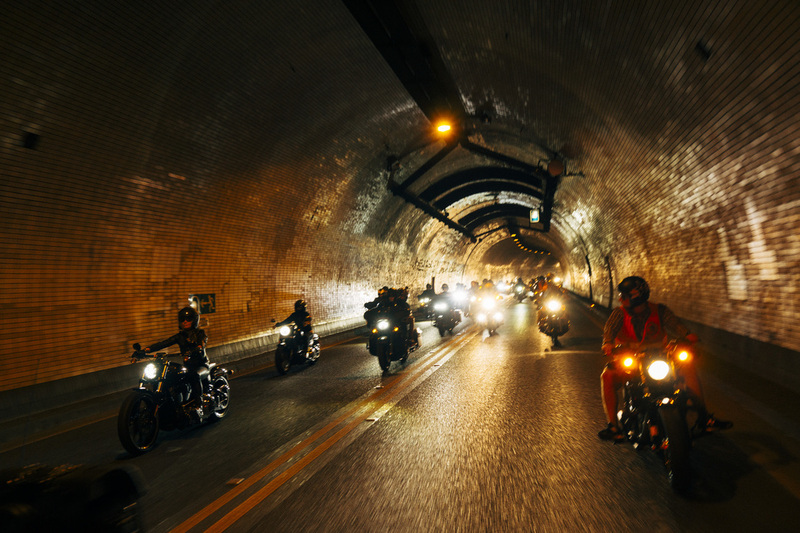 The 115th Anniversary was designed as a celebration of riders and riding, and to evoke the dream of freedom on two wheels for riders and non-riders alike. Not only was the event the 115th Anniversary of Harley-Davidson itself, but also the 100th birthday of the Czech Republic, the 90th birthday of the hosts, Harley-Davidson Club Praha – the world’s oldest H-D® club – and the 35th birthday of the Harley Owners Group®. The city of Prague rose to the challenge of hosting an event on this epic scale. Following a concert by the Rolling Stones, the celebrations were kick-started with a spectacular opening ceremony hosted by none other than Bill and Karen Davidson, direct descendants of the Motor Company’s original founders. That emotive opening set the stage for four days of epic celebrations. 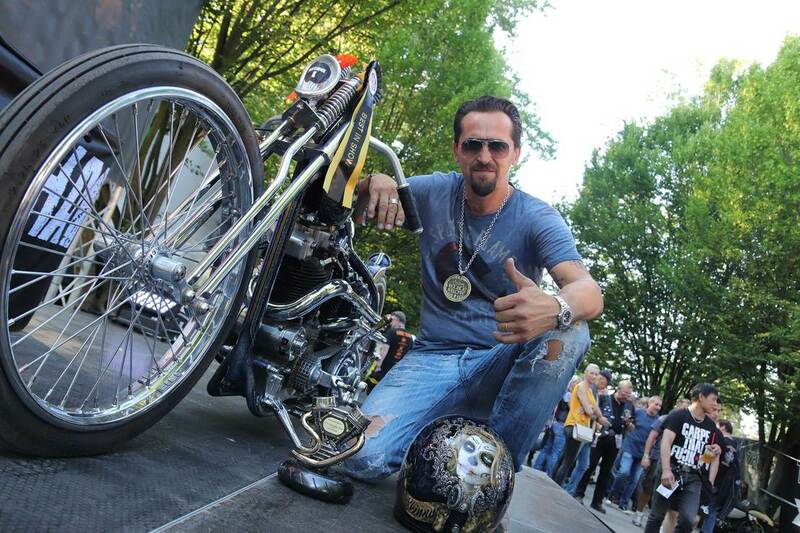 The historic Holešovice exhibition grounds were the centre of the party, hosting a vast range of exhibitions, entertainment and tributes to Harley® history – and the riders who have supported it for well over a century. The spectacular Harley-Davidson Expo took visitors on a journey from the birth of Harley-Davidson to the present day; expert curators had spent months gathering together the largest display of Harley-Davidson history ever seen in Europe, set against a theatrical backdrop including full cobbled streets evoking the timeless appeal of the machinery on display. Key motorcycles from the company’s history, dedicated displays and video projections, historical photographs, advertisements, artefacts, accessories and even an area dedicated to the controversial era of AMF and Aermacchi showed the 115-year legacy of Harley-Davidson in a setting perfectly suited both to the exhibits and the host city. The world’s best contemporary custom Harley-Davidson motorcycles from the best builders across the world were on display in the Prague Custom Gallery. 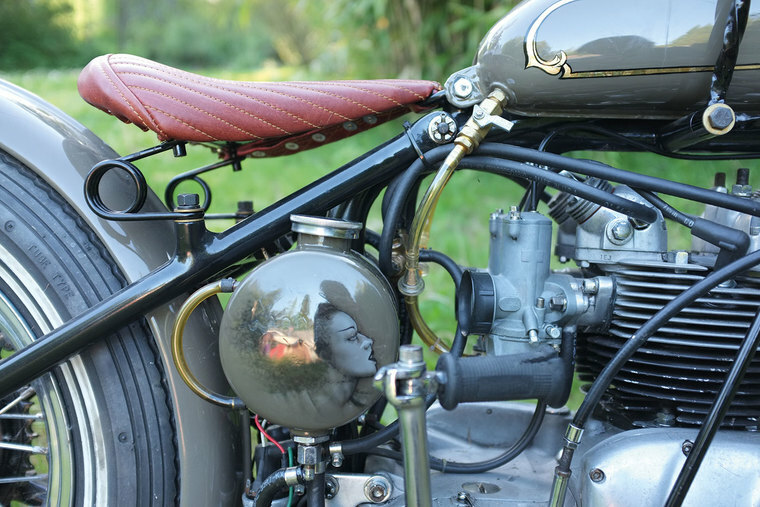 A jury of motorcycle builders and designers spent the year choosing the greatest 50 custom bikes in the world for display – a jaw-dropping selection of artistry in iron. The builders competed with each other for the prestigious Anniversary awards, with the top prize taken by the two-litre trellis-framed masterpiece ‘Pressure Drop’ from the UK’s Rocket Bob’s Cycle Works. Harley-Davidson’s undisputed ownership of the custom space was also on display in the ride-in Custom Bike Show on Friday, with riders and builders showcasing their own incredible custom bikes for the chance to win awards across a range of categories. After fierce competition, the Best In Show award was finally taken by an exquisite Ironhead Sportster® creation: ‘The Skinny’, built by Italy’s Fabrizio Caoduro. The Dark Custom Island, meanwhile, showcased the company’s edgier side, with an FMX show featuring the Czech freestyle motocross Petr Pilát; skate and freestyle competitions; a radical and innovative stunt show; and music from DJs and live bands. 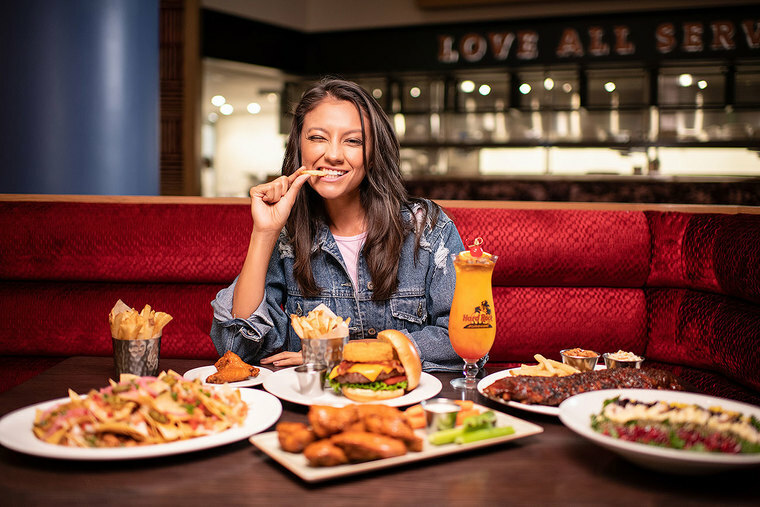 Visitors could try their hand at slackline, or play darts and football while the DJs and bands kept the music turned up for a real party atmosphere. The crowds of visitors also demonstrated humanity and respect for others through an auction of helmets, with the proceeds benefiting the girls of Pramen, a charity helping disabled women, and to support Czech army veterans’ families. Painted and customised by well-known musicians, athletes, travellers or actors – including a helmet by Karen Davidson – the auction raised more than €20,000 in total. The Czechoslovak Island was themed around the 90th birthday of the H-D Club Praha, the world’s oldest Harley-Davidson club, and the 100th anniversary of the Czech Republic itself with displays by Czech and Slovak federation clubs, the Federation of Harley-Davidson Clubs Europe and the Route 66 Association, alongside delicious Czech food specialities, great local music and the famous Czech beer. The H.O.G.® Village formed the meeting point for all members of the Harley Owners Group, celebrating 35 years since its formation. Friends from across the world met up here to rock out to music and enjoy hospitality from Hard Rock Cafe Praha and the Jack Daniel’s stand, supporting the world’s largest motorcycle owners club. The best cuisine was available at the Food & Drink Zone including traditional Czech cuisine, Thai, Tex-Mex, steaks, sushi and more, with non-riders able to wash it all down with an ice-cold Czech beer from the Staropramen stand – and a special non-alcoholic beer for riders too. Harley-Davidson partner and sponsor Jeep® was present in force at the Jeep Touring Zone with displays of its most iconic models, a zip line directed to the Jeep® Lounge, and an off-road course to test one's driving skills and demonstrate the capability of the company’s models. A Family Zone catered for the younger members of the global Harley-Davidson audience to bring enjoyment to a generation of future riders. More entertainment on site came from the Biker Games Competition, with riders testing their skills in a closed-course competition; the European Muay Thai Championships live on site followed by a gala Muay Thai party; and music from more than 40 live bands, encompassing an eclectic range of acts from the international and local Czech and Slovakian music scene, covering bluegrass, country, rock and rap and culminating in a headline act from global hitmakers The Hives. Of course, the 115th Anniversary event was geared up as much around riding as partying. 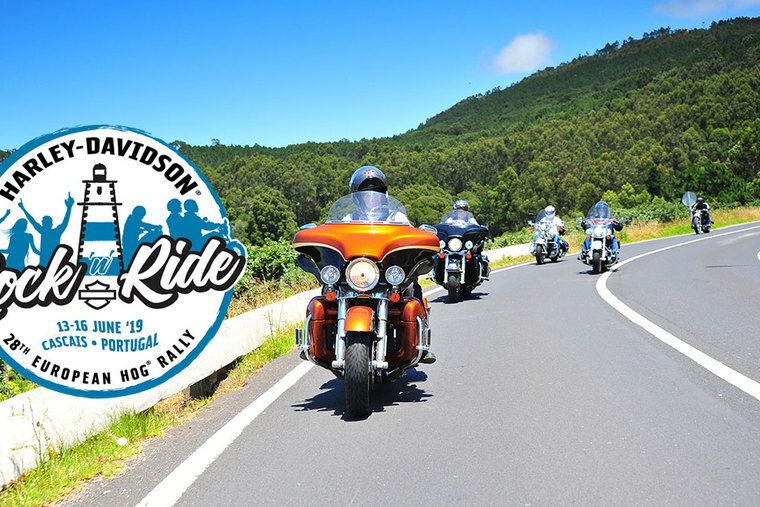 Throughout the event, riders with a valid licence could take a demo ride on any of the current 2018 Harley-Davidson models at the Harley-Davidson Demo Area – even helmets and riding gear were provided – and for those wishing to see more of the beautiful riding roads of Central Bohemia, Guided Tours led by local riders from H.O.G. Chapter Prague showed riders the twisty roads and charming river valleys, castles and chateaux that make this region famous across Europe. The Central Bohemia Challenge was a unique riding challenge rewarding participants with unique commemorative coins, while the Czech-American Challenge by the US Embassy encouraged riders to hit the roads and see the incredible sights on offer in the region. 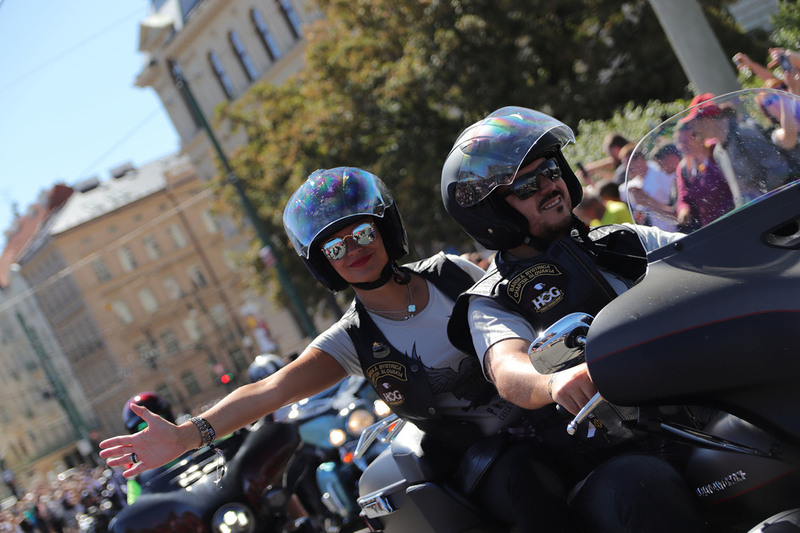 Also adding to the celebratory atmosphere were Ride-Ins to the event, carefully arranged by rider groups; activities spread across 107 authorised Harley-Davidson dealerships across Europe; and a huge range of parties, rides and gatherings across the city and surrounding area. 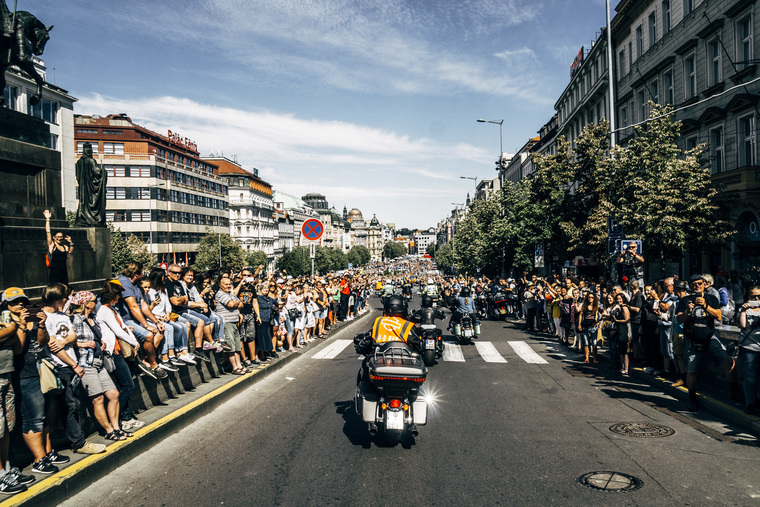 The famous Harley-Davidson Parade on Saturday saw 4,000 bikes promenading through cheering crowds on the streets of Prague, and taking in the historic sights including a photo opportunity in Wenceslas Square. Four days of celebration finally drew to a close with a spectacular closing ceremony on the main stage. And with that, the 115th Anniversary party was over as tens of thousands of riders headed back home. 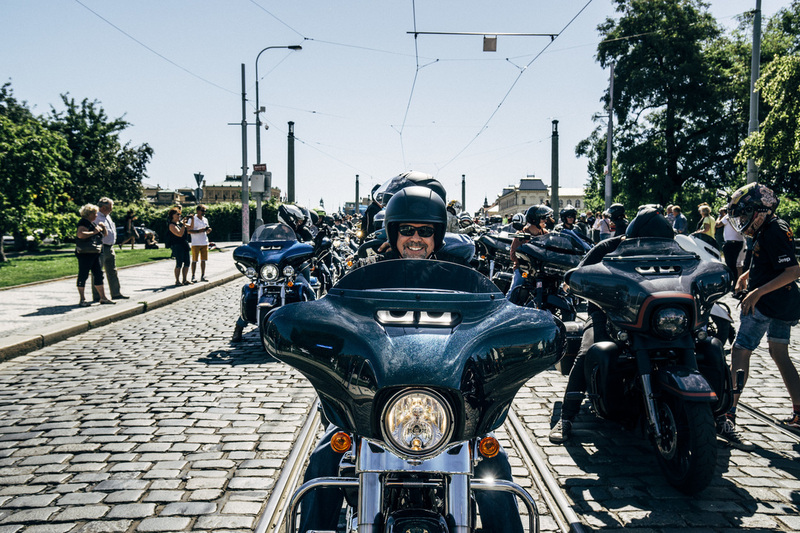 But the city of Prague itself remains – and welcomes riders back to write another chapter in the book of freedom, at Prague Harley Days 2019 from July 5-7. See you there! Successful events of this scale are impossible without teamwork by everyone involved, and huge thanks go to all our partners for their tremendous support and professional co-operation. The authorities of Central Bohemia, the H-D Club Praha, the Czech Republic Land of Stories, the authorities of the city of Prague, the main sponsors Mastercard and Staropramen, the people of Prague and the Czech Republic, and many more deserve our thanks and respect for being the perfect hosts and supporters for such an epic event. Did you miss out on that all-important piece of 115th Anniversary merchandise? You can still purchase that prized t-shirt or pin by visiting the online store here.